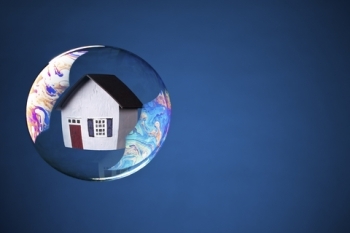 The latest study from independent research body Capital Economics stated that the factor that is most to blame for Canada’s housing bubble is not foreign money but household debt, which has ballooned to dizzying heights in the past few years. In a Huffington Post Canada article by Jesse Ferreras, the “House Price Gains Fuelled by Increasingly High-Risk Mortgages” report pinned the blame solely on Canadian debt holders and the banks that approved these transactions. “The massive surge in risky debt being taken on by Canadian households illustrates that the housing bubble can't be blamed on cash purchases by foreign investors,” added the report, which pegged the household debt ratio as of the first quarter of this year at 165.3 per cent of disposable income. Other observers have voiced similar concerns over sustainability, although so far they remain optimistic of Canadian housing’s prospects for the short and medium term due to stable debt servicing costs and a manageable level of delinquency. Manageable level of delinquency?...isn't that part and parcel with the fact people who can't afford their properties simply sell at a profit? If those same people couldn't sell their properties at a profit they would not be able to debt service said properties, therefore, this number is completely skewed. When interest rates go up, we will see what that real number is when the housing market slows...god help us when this happens!